Abundnz will participate in the conference “Knowledge for Growth 2015” in Gent (Belgium). 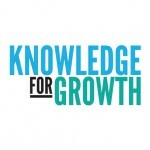 “Knowledge for Growth” is Europe’s leading regional life sciences convention. You can meet Abundnz at the partnering event. You can download the press release about Knowledge for Growth at FlandersBio.